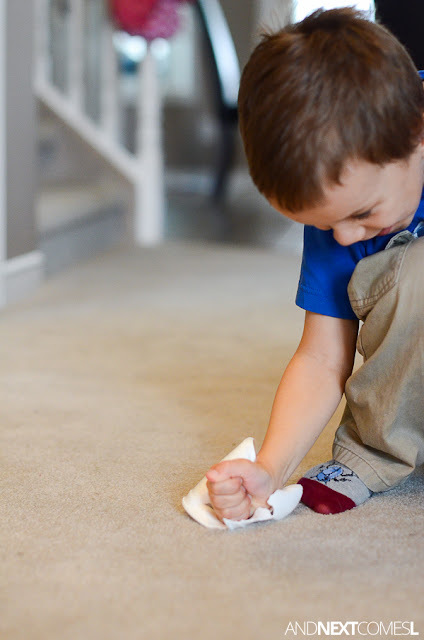 Some kids are just a bit more destructive than others. My five year old is one of those kids. This ghost smashing Halloween activity for kids is designed for destructive little ones just like him. 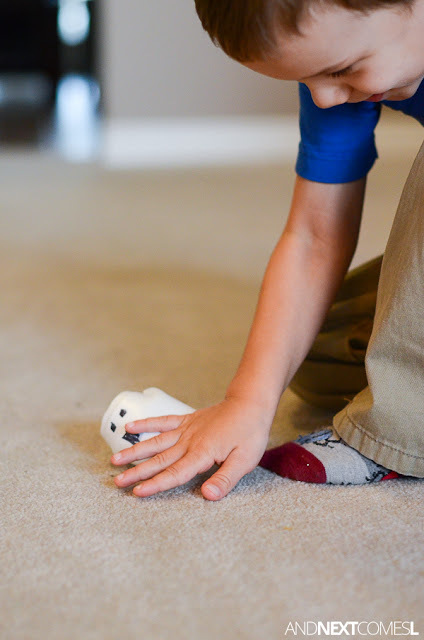 So whether you are looking for a quick boredom buster or a bit of proprioceptive sensory input or maybe even just an easy way to burn off some extra energy, then try this activity. 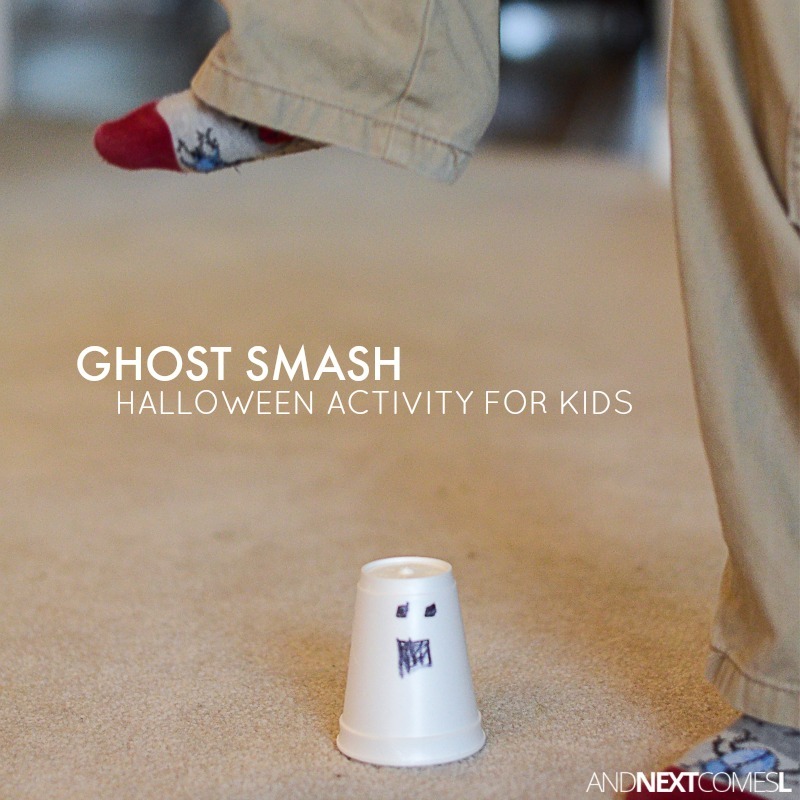 You only need a couple of supplies and a few minutes to make the ghosts before the kids can stomp, squish, smash, and destroy their way around this fun little Halloween activity. 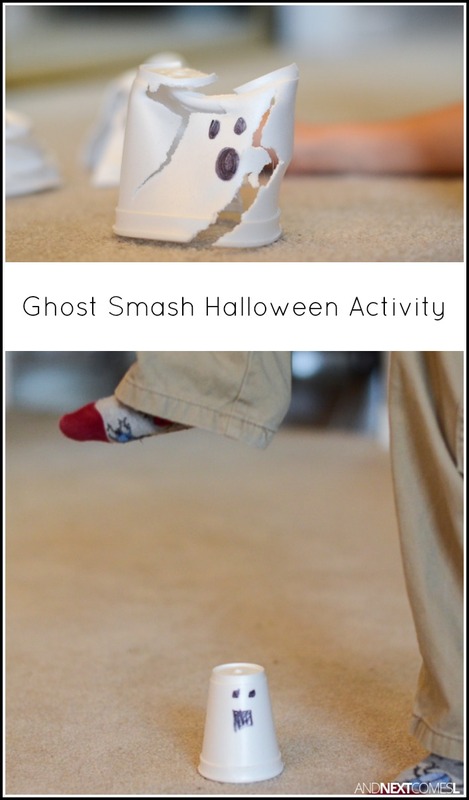 This activity stemmed from our Halloween ghost bowling activity and our DIY ghost bunting where we used DIY ghost cups made from styrofoam cups and black permanent marker. 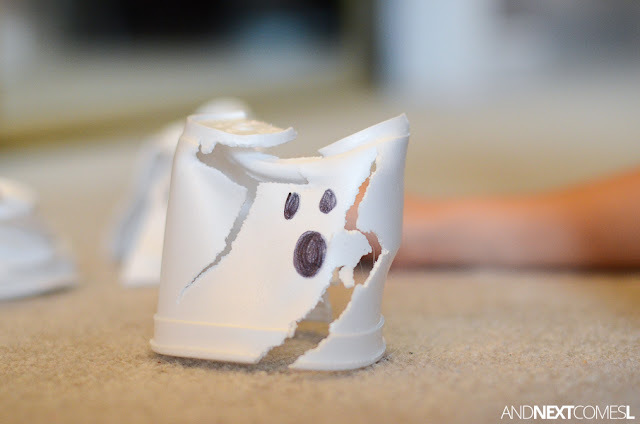 K wasn't thrilled with my ghosts and wanted to wreck them. So I let him have at it! I figured it would provide great proprioceptive sensory input to his joints with all of that stomping, smashing, and crushing movements. 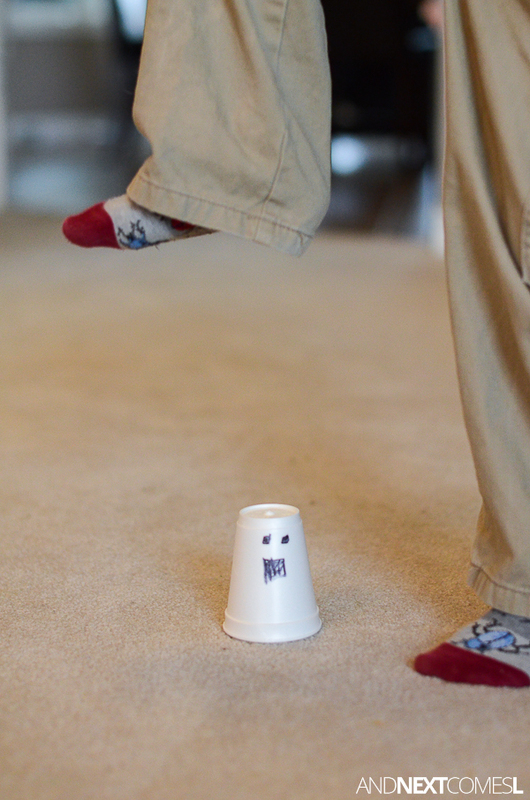 First he tried stomping with his feet, but often missed the ghost at the last second. So I challenged him to try smashing the ghosts using his hands. He experimented with open palm smashes and fist smashes until he figured out which worked best. As you can tell by the little bit of smile on his face, he was loving it! Not surprising considering he loves to destroy things. These poor ghosts didn't stand a chance! They look extra hilarious all cracked up with their surprised facial expressions. Like they're saying, "Nooooo! What have you done to me?!"